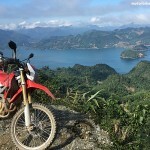 3 Day Motorbike Tour in North Vietnam. 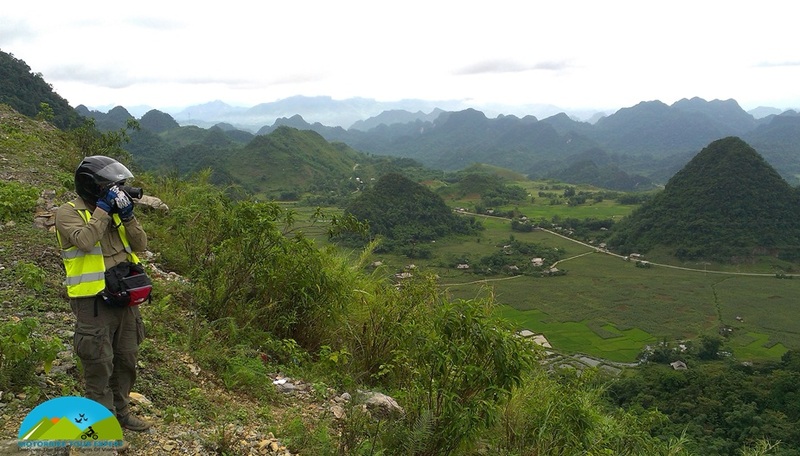 Day 1: Hanoi – Mai Chau. 180 km. 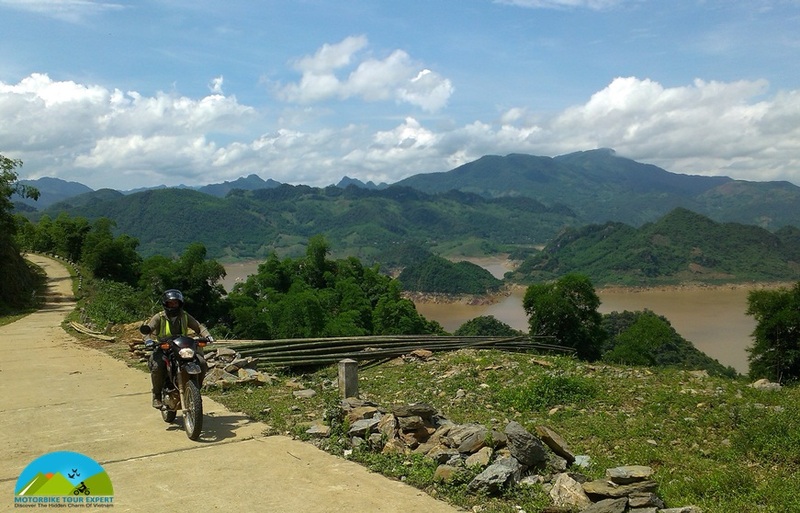 Start this motorbike tour in North Vietnam from the western part of Hanoi. After 3o minutes riding in busy traffic, we’ll get closer to the countryside and then take some small roads through villages with less traffic and more chickens, ducks on the road and water buffaloes in the rice fields. After lunch, we will have one of the most scenic ride in north Vietnam by motorbiking on the small back-roads through rustic villages of the local people, enjoying the beautiful view of limestone mountain and the rice paddies, riding along the Da river lake on winding small road with a great lake view, the lake is like another Ha long bay on mountain and the ride along the lake is one of the best part of this short motorbike tour in Vietnam and then heading down to the mountain valley of Mai Chau. It’s home to the white Thai people who are living in houses on stilts in the middle of green mountain and rice fields, it’s surely the enjoyable stay in addition, the local Thai people are the best cook in Northern Vietnam so the meals with them promise to be the highlight of your North Vietnam tour. 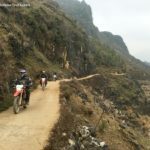 Day 2: Mai Chau – Phu Yen. 160 km. The North Vietnam Motorbike Tour to Phu Yen today is quite easy. We can make a lot stops for pictures of amazing mountain view. We can start the day with a easy walk around the village or be lazy with a waking up café . 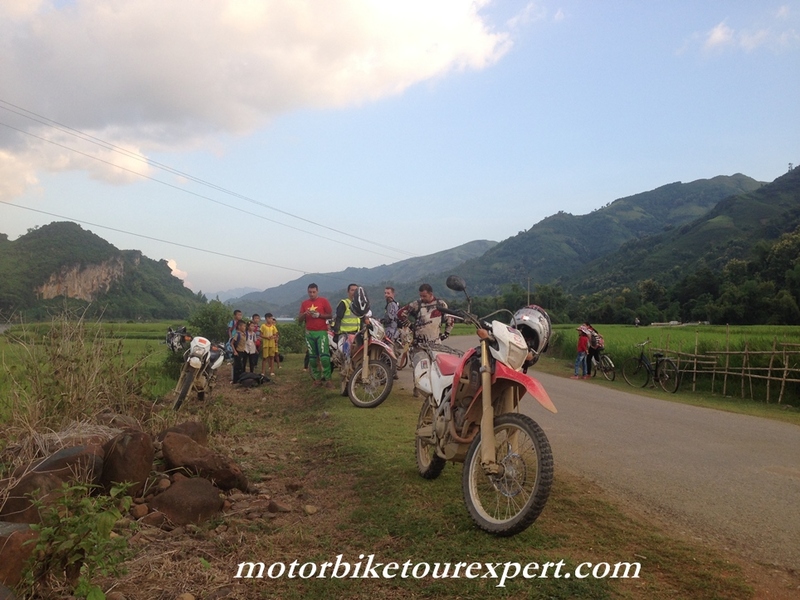 After saying goodbye to the Thai people we ride up to the direction of Moc Chau. Lunch is after the beautiful Hua Tat pass and then after that we’ll motorbike to the less traveled Road 43 that leads to the Da River. After crossing the reservoir of Da river at Van Yen ferry, after the ferry we will have enjoyable motorbike ride on the beautiful winding road along the Da river until Phu Yen where we stay overnight. 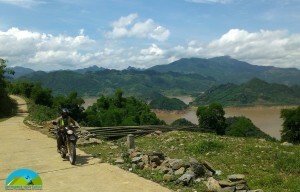 This ride is one of most enjoyable part of this 3 day motorbike tour North Vietnam. Day 3: Phu Yen – Hanoi . 170 km. After breakfast, we head to the west to the beautiful Lung Lo pass, here is good chance for us to ride on a sloping and winding pass with some nice green tea fields. Lunch is in Son Tay town – Hanoi. After lunch, we will ride on the small countryside roads to be away from the busy traffic and get closer to the city center. Arrive your hotel and finish the 3 Day Northern Vietnam motorbike tour before rush hours.